JRLA uses state-of-the-art computer simulation tools to cost-effectively analyze complex problems and gain detailed insights into accidents. JRLA uses computer modeling to cost effectively analyze the most complex problems, including train braking and dynamics, collision simulation, vehicle dynamics, and train slack action. 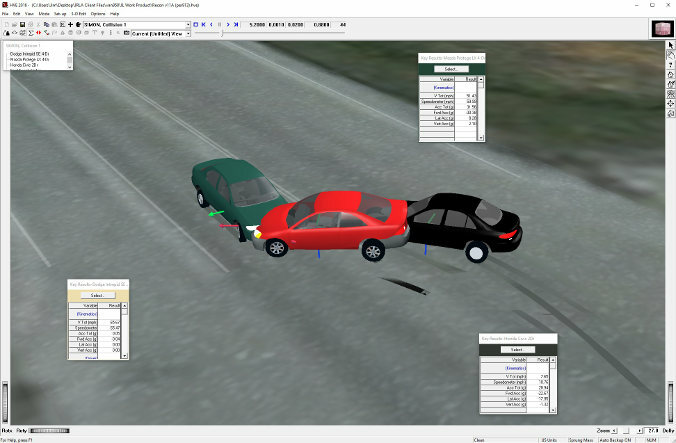 Computer simulation allows us to gain detailed insights into accidents and their causes and also to determine the outcome of what-if scenarios. We are also able to present the results of our work in a variety of easy-to-understand formats, including computer animation. Copyright 2011 James R. Loumiet & Associates, Inc. All Rights Reserved.